Darren Brown. Darren Brown is a founding director of Expense Check. Want to be a hero for your clients?… Transcript is available here. Jeri Murphy. Jeri runs WhichAddon at www.whichaddon.com, seeks to give bookkeepers the “best possible solution” to their software issues. She talks here about the opportunity for new revenue streams for bookkeeping firms who wish to be a ‘firm for the future’. Transcript is available here. Melanie Power. Head of bookkeeping Xero Australia and an operator of a successful bookkeeping business in her own right, talks about her fascinating journey to building her bookkeeping business and her transition to being a senior executive at one of the world’s biggest accounting software companies, Xero…. Transcription of broadcast is also available here. Roger Mendelson. Roger is a Melbourne-based solicitor and founder of Prushka*, Australia’s largest privately owned debt collection agency. Roger speaks about the challenge facing SMEs in managing their cash flow and offers Bookkeepers unique insights into how they can add value to their services to SMEs. Transcription of broadcast is also available here. Debra Lewis. 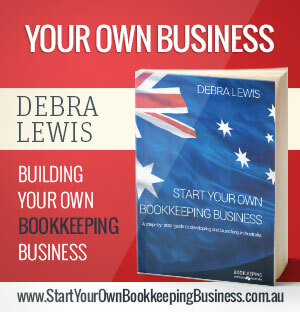 Debra is the CEO if the Bookkeeping Institute of Australia ( www.biau.com.au ) an RTO and one of the leading providers of courses and training programs qualifying people as bookkeepers and registered tax agents. She talks here about the value and opportunity for bookkeepers to grow their income. Doug Constable. Doug is founder of QuickFixStrategies.com.au a business service that helps individual and business manage the often painful process of insolvency. He talks here about how bookkeepers can help their SME clients work though difficulties. Transcript of podcast is also available here. Kylie Laird. 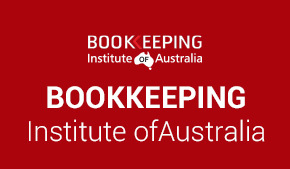 Kylie is a certified bookkeeper who received her formal qualifications from the Bookkeeping Institute of Australia. She talks about the transition she made from stay at home mum to busy bookkeeper and informs us of the challenge sand opportunities facing bookkeepers. Transcript of podcast is also available here.